The New Testament records that Jesus was baptized by John (Matthew 3:13-17), and he commanded his disciples to teach and baptize in the name of the Father, Son, and Holy Spirit (Matthew 28:19). Baptism is grounded in the life, death, and resurrection of Jesus Christ; the grace which baptism makes available is that of the atonement of Christ which makes possible our reconciliation with God. Baptism involves dying to sin, newness of life, union with Christ, receiving the Holy Spirit, and incorporation into Christ's Church. United Methodists affirm this understanding in their official documents of faith. Article XVII of the Articles of Religion (Methodist) calls baptism "a sign of regeneration or the new birth"; the Confession of Faith (EUB) states that baptism is "a representation of the new birth in Christ Jesus and a mark of Christian discipleship." We baptize infants and children under the age of 12 when their parents are willing to make a confession of faith on the child's behalf. Families meet with our pastor to discuss these vows and the service prior to the baptism, which unless there are unusual circumstances are always done in our Sunday worship services at 9:30am. When the child reaches the age of 12 she or he can take our Confirmation course each Spring in which they learn about Christianity, make new friends with kids their own age and meet our Youth Group leaders. After the end of the Confirmation course each young person chooses to "confirm" the vows taken on their behalf by their parents or if they had never been baptized be baptized at that time, and then become full or "professing" members of the church. Those over the age of 12 seeking to be baptized can meet with Pastors to discuss the process and the vows. A study book is usually given and a follow up meeting with the pastor is held to review it and the meaning of baptism. They may then schedule the baptism at our regular worship service. We baptize most often with the pastor's hand dipped in a font of water and then placed upon the initiate's head. In our church we consider all forms of baptism valid. To schedule a baptism or a baptismal appointment with our pastor or if you are interested in joining the church, contact the church office (650) 697-8300. 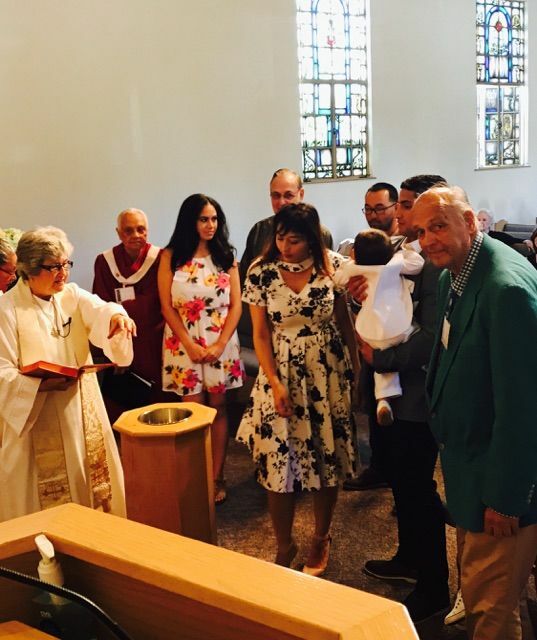 The United Methodist church folks can be baptized or have their children baptized whether they are members of the church or not. 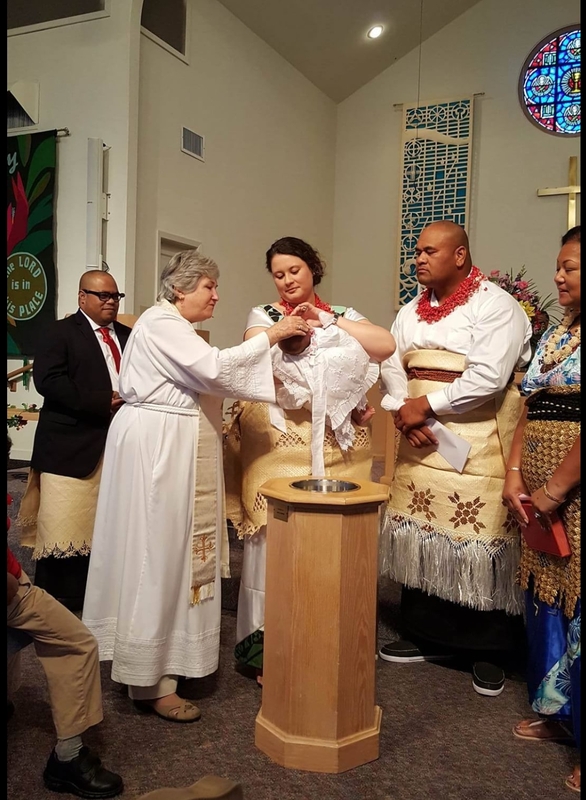 Joining the church requires baptism at some time prior to the reception service, also held in our Sunday services, and can be a baptism in any Christian denomination, it doesn't have to be United Methodist.